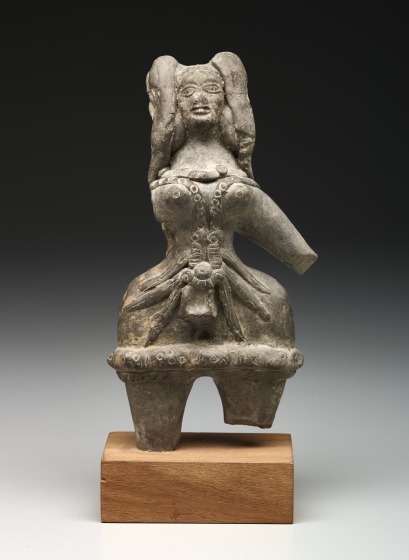 The molded features of this female figure, for example, the breasts and elaborate headdress, and other features applied in additive fashion all suggest it dates to the time of the Maurya dynasty (322-185 BCE). 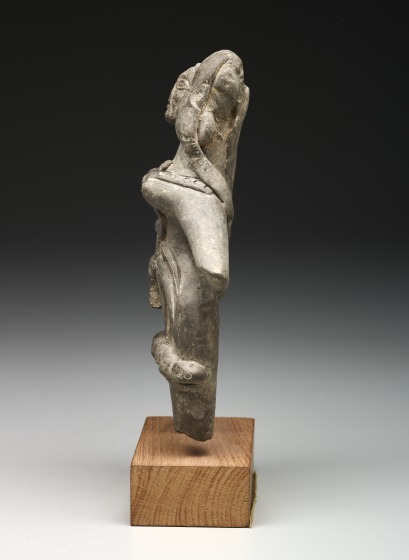 The exaggerated hips and prominent breasts suggest a fertility function, but that may be an oversimplification of this figure's identity. 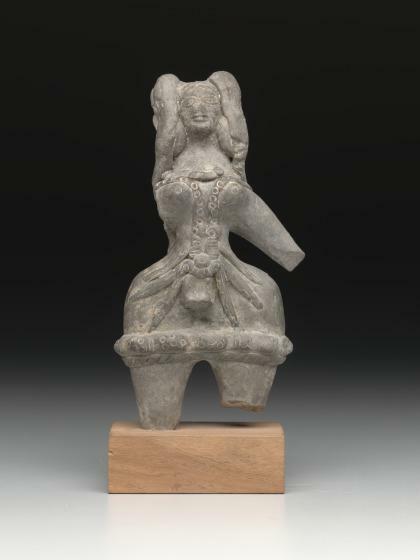 Many goddesses, not only in India but globally, may be traced to a fertility of maternal function, but by the Maurya period, a well-developed pantheon of deities had been established. 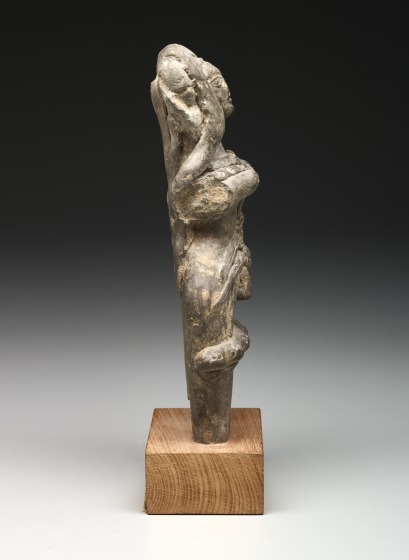 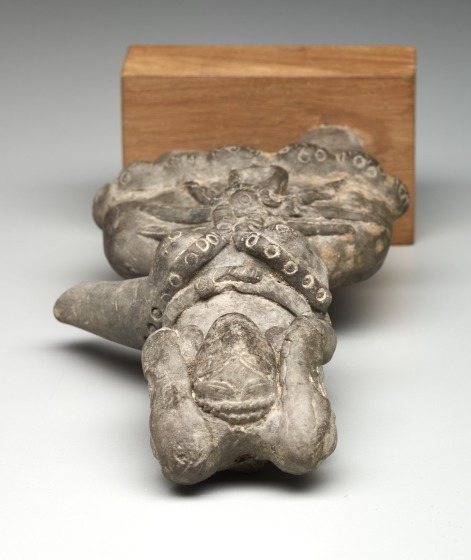 Because terracotta images, however, were easy to produce and relatively inexpensive, figures such as this may have had a popular function and could very well represent votive offerings related to childbirth. 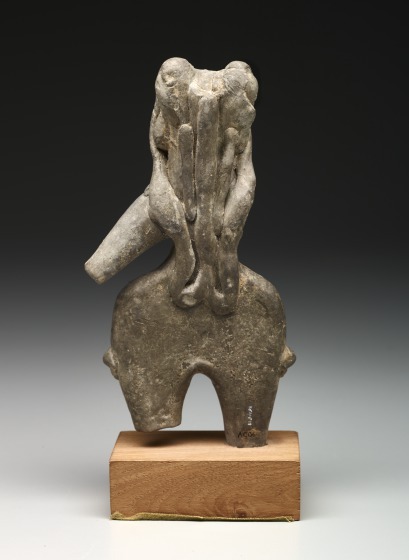 It is difficult to determine exactly where this figure originated, but most likely it comes from an area to the west of the Maurya capital, Pataliputra, that is, modern Patna. 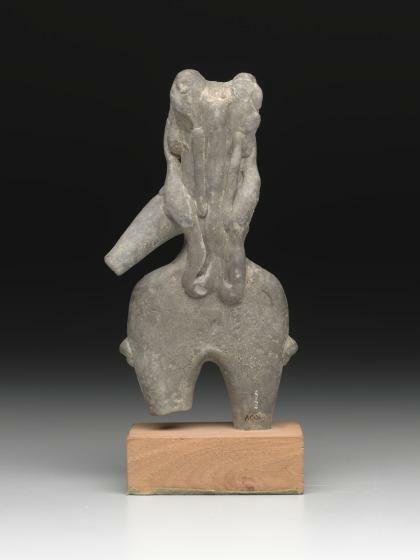 Sites at Mathura, Allahabad, and Kaushambi, all within the modern state of Uttar Pradesh, have yielded very similar works. 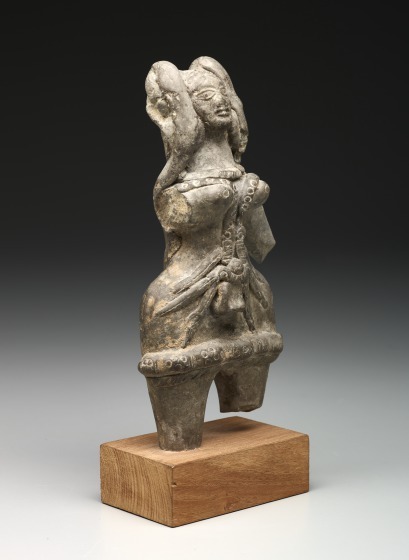 Those from closer to the Maurya capital tend to be even more modeled, with few additive features. 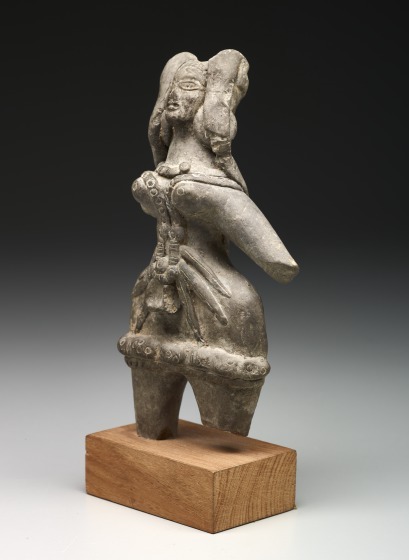 Frederick M. Asher, "Standing Mother Goddess," in The Arts of India, South East Asia, and the Himalayas, Anne R. Bromberg (Dallas: Dallas Museum of Art; New Haven: Yale University Press, 2013), 31.